Daniel Ricciardo says he is encouraged after a positive day of practice for the Japanese Grand Prix. Ricciardo completed 30 laps on his way to setting the seventh fastest time in second practice. "I’ve been hoping to have a Friday like this one for a while now even if, of course, it’s the Saturday and Sunday that’s important," said Ricciardo. "So I am glad that I was tenth in the morning and seventh this afternoon, which is a good sign for us. It’s a complicated circuit and I love it. Today, we made progress with each change we made on the car, keeping each modification and then moving further forward." "On my long run on Option, it started quite well until I ran into traffic, but in general the pace wasn’t looking too bad – definitely a positive Friday for us." 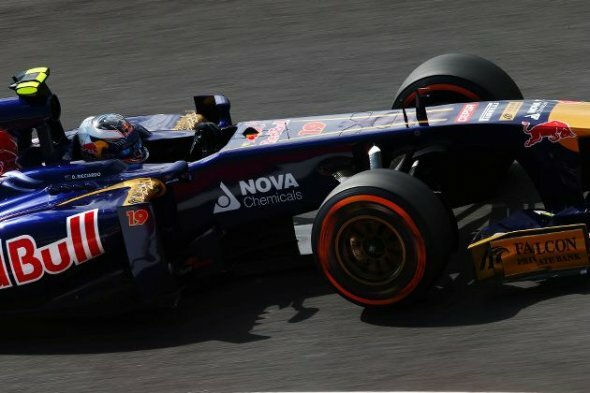 Team-mate Jean-Eric Vergne was twelfth fastest. "It was a troublefree Friday and we worked to our usual programme, working on the car set-up and balance," he said. "I have to say I am not yet happy with it, mainly having some difficulty with understeer. However, it was an encouraging day. I did long runs on both tyres and although I didn’t get a clear picture from the Prime, the Option was good."